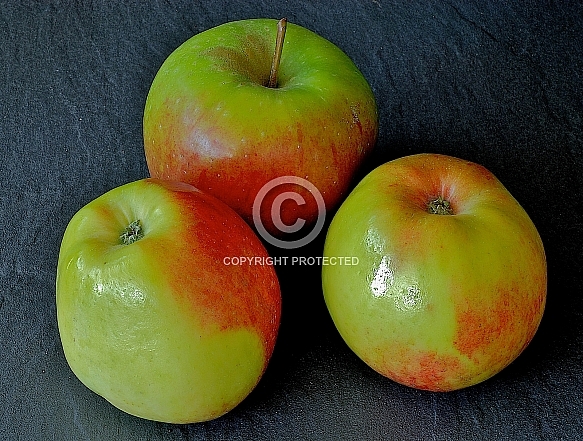 Description: A 'heritage' variety dating back to 1867 (USA). Medium sized fruit with yellow skin flushed and striped with red. Firm, yellow tinged flesh described as sweet and 'subacid'. Very late season harvest.